Use Google Earth data to create altitude plots. Developer website: Eugene Software Inc.
Is there a better alternative to uTrekGE? Is uTrekGE really the best app in Applications category? Will uTrekGE work good on macOS 10.13.4? uTrekGE... 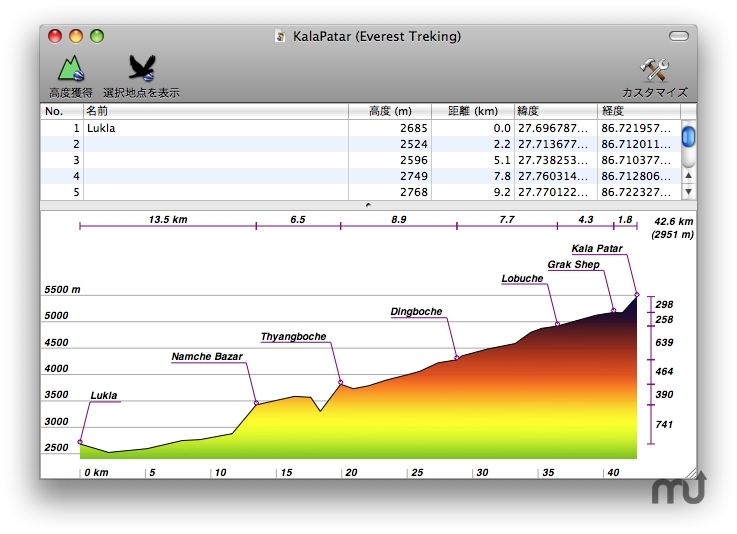 Generate an altitude graph for a path in KML file of Google Earth. Version 1.2: Export graph to a image file. uTrekGE needs a rating. Be the first to rate this app and get the discussion started!